Source: National Council of the Churches Website, © 2012. Accessed 28 January 2013 at http://www.ncccusa.org/. A large collection of records from the first two decades of the National Council of Churches (NCC) has recently been reprocessed and made available again thanks to a grant from the Henry Luce Foundation. This collection is held by Columbia University at the Burke Library as part of the William Adams Brown Ecumenical Archives Collection. In addition to the work of reprocessing, several boxes of documents were pulled from a large pile of unprocessed materials and were added to the existing collection. These reports, consultation summaries, minutes, correspondence and planning documents – formerly unavailable to researchers – now have the potential to shed new light on issues facing the NCC during the height of its influence in the 1950s and 1960s. It became evident as a result of our analyses that the churches themselves were profoundly implicated in racial injustice in the U.S., that they have furthered it and supported it by their doctrines, by what they actually preach from certain pulpits, by their silences, and by their support of the system which made racial injustice possible. Well, this wasn’t very happy news for the churches to receive. They didn’t like it, and you can understand why. We tried to make it sugar-coated, but you can’t sugar-coat that kind of message. Well, it was as a result of that kind of thing that the communions finally – some of them – began to express concern about what we ought to be doing in long range planning. It was the discomfort of those church communions who had been called into account for their racist attitudes and practices that apparently motivated the subsequent 1965 restructuring of the Council in which power was centralized and Dodds was moved to the department of Ecumenical Affairs. The bulk of materials in the collection are from the NCC’s Division of Foreign Missions, which later became the Division of Overseas Ministries and constituted the largest unit of the organization both financially and administratively. Now available for the first time are a number of reports conducted by the Division of Foreign Missions' Research Committee in conjunction with the Missionary Research Library on the subject of missiology, including an unpublished paper by H. Richard Neihbur outlining a theology for the missionary obligation of the church. 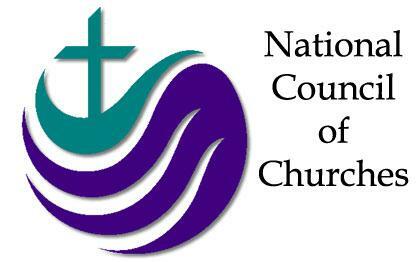 The NCC served as a prominent international voice for the Protestant churches of the U.S. during the mid-twentieth century. Through the work of its Division of Foreign Missions in particular, the NCC collected materials and conducted extensive reports pertaining to significant world affairs and their relationship to the churches. As such, this collection contains reports, news articles, pamphlets, and other primary documents concerning events of international and ecumenical significance such as Vatican II, the North American Assembly on African Affairs, and the United Nations Conference on Trade and Development, as well as organizations like the Congo Protestant Relief Agency, the Ecumenical Program for Emergency Action in Africa, the International African Institute, and Mindolo Ecumenical Foundation, and general subjects of relevance such as education and world literacy, mass communication, bilateral conversations, Israel and the Middle East, Cuba, Marxism and Chinese communism, South African apartheid, the civil rights movement and black liberation theology, and Vietnam. Newly available in this collection are also documents outlining the various proposals that were considered in the restructuring of the NCC in 1973. The main repository of archival records for the National Council of Churches is in Philadelphia, PA, and so it is especially exciting to make this extensive collection of the organization’s earliest records available at the Burke Library, located right next door to NCC’s current administrative offices, placing these valuable historical documents – and the perspective that could be gained from reading them – right at the organization’s fingertips. The finding aid for this collection can be found on the Burke Library Archives website or by following this link directly to the Finding Aid. This entry was posted in Student Entry and tagged National Council of Churches, NCC, NCCC, NCCCUSA, WAB on March 11, 2013 by Kristen Leigh Southworth. I have finished processing my very first ever archival collection, the American Bilateral Conversations Records in the William Adams Brown Ecumenical Archives Group. When I started I didn’t have much of an idea of what most of that meant. I had no idea what a bilateral conversation entailed and I was only faintly familiar with what ecumenical meant. I have to say this; previous to processing this collection I was on the fence about whether or not I would like to be an archivist. I knew that there would be things that I would like, but would they seem less enjoyable when faced with the downside, the dirty and the buggy (I’m not a huge fan of bugs)? The answer is “Yes! I’m hooked!” I can deal with the mess and the dirt (and bugs) because I get to do all the things that I love. Namely, organize, label, research and then make it accessible for others to use. It is the last one that gives me the most amount of satisfaction. Now others will be able use this collection and hopefully it will lead them to new understandings and new connections that didn’t exist before. WAB: American Bilateral Conversations Records, Series 1, Box 4, Folder 16, The Burke Library Archives, Columbia University Libraries, at Union Theological Seminary, New York. I like the simple realization that what these church leaders were attempting to do wasn’t easy, but that division is a problem worth trying to fix. I love Glenn E. Baumann’s statement about the right to worship within inter Christian marriages. Following Baumann's quote, Monsignor Henry G. J. Beck had similar desire for unity rather than division on this same topic. Credit to WAB: American Bilateral Conversations Records, Series 1, Box 5, Folder 2, The Burke Library Archives, Columbia University Libraries, at Union Theological Seminary, New York. I grabbed this one from a paper about the ordination of women because I liked the corrections that were penciled in. I don’t know if you can read the words that are “carroted” in at the end but it says, “respond creatively to…” It is obvious that unity in all aspects was a difficult task. Credit to WAB: American Bilateral Conversations Records, Series 1, Box 5, Folder 4, The Burke Library Archives, Columbia University Libraries, at Union Theological Seminary, New York. This last quote by Robert McAfee Brown I just like. I thought it was an interesting way to regard the study of the New Testament. Credit to WAB: American Bilateral Conversations Records, Series 1, Box 4, Folder 16, The Burke Library Archives, Columbia University Libraries, at Union Theological Seminary, New York. It is a fascinating topic and relevant even today, as ecumenical discussions are still on going. Some of the topics remain the same and some of the topics are new, but the idea behind unity in the church is still a driving force. It was fascinating to discover that this tiny collection covers a very important era in the world wide ecumenical movement. The collection mainly deals with Roman Catholic bilateral conversations; I learned it was in the early 60s; after Vatican II, the Roman Catholic Church came into full involvement in the ecumenical movement, (which began at the World Missionary Conference in 1910 at Edinburgh.) In fact, there was a recent New York Times Op-Ed article, "Opening the Church to the World," which discusses the effects Vatican II had on the international ecumenical relationships of the Roman Catholic Church. It is also interesting to note that the Roman Catholic Church tended to favor and encourage a methodology of bilateral or two-party conversations, while most ecumenical discussions were multilateral. In one of the books that I used to research the history of the ecumenical movement, the editor, John A. Radano recommended “more analysis of these dialogue reports, and accounts of what they have achieved are needed…” The scope of this collection reflects this pivotal point in the history of the modern ecumenical collection and I am happy to add a new collection to canon of ecumenical records to help in that analysis. O’Malley, John W. “Vatican II Opened the Church to the World.” The New York Times 10 Oct. 2012. Accessed: 15 Oct. 2012. Radano, John A. Editor. Celebrating a Century of Ecumenism: Exploring the Achievements of International Dialogue: In Commemoration of the Centenary of the 1910 Edinburgh World Missionary Conference. Grand Rapids, Mich: W.B. Eerdmans Pub. Co, 2012. This entry was posted in Student Entry and tagged Archives, bilateral conversation, ecumenism, interns, NCC, Roman Catholic Church, students, WAB, WCC on October 9, 2012 by Bree Midavaine.